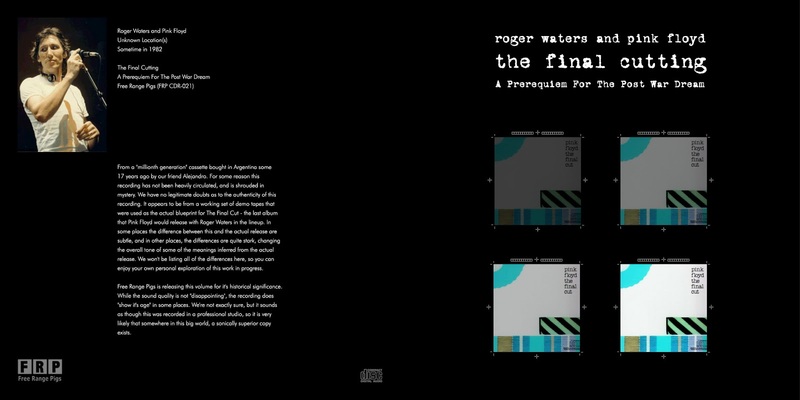 Everyone interested in rare recordings from Pink Floyd will definitely enjoy this one. Actually, this rare record is recommended for those fans for the Final Cut album, because regular Pink Floyd fans may comply about the quality. This came from a tape that was bought in Argentina many years ago and for some reason, was not published anywhere. 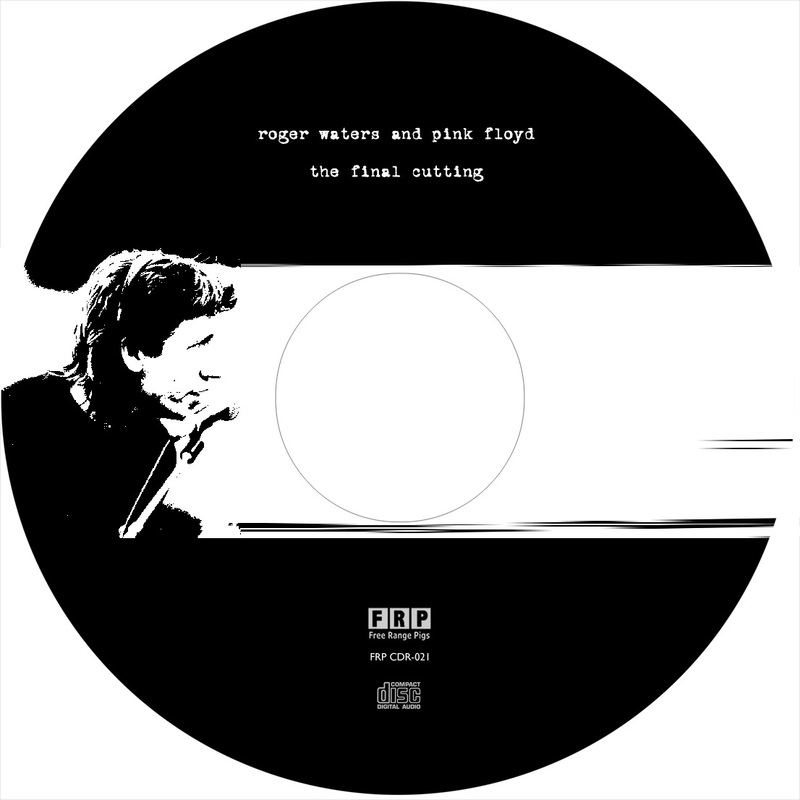 After the tape leaked on internet, a record company launched some copies and name it as"The Final Cutting". 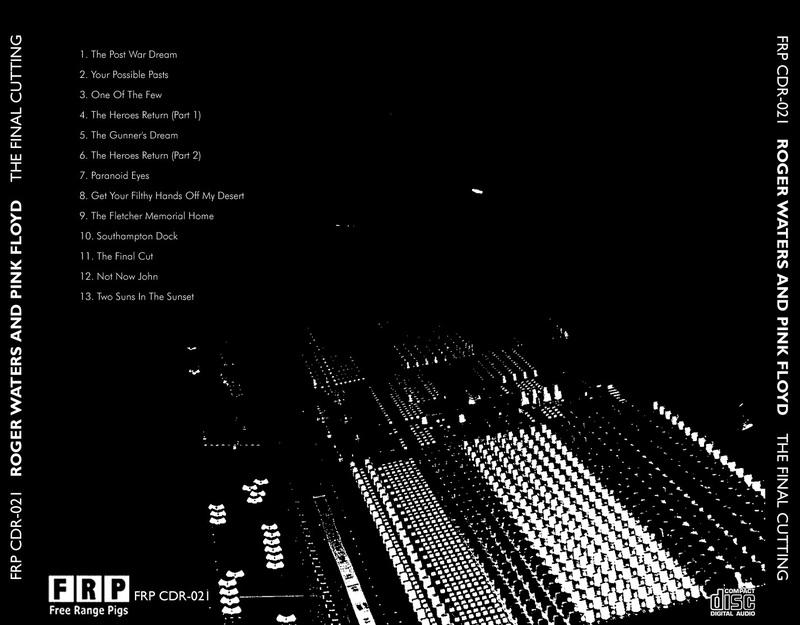 I particularly love the album"The Final Cut" so this recording is something very special in my private collection. There aren't too many information about the Pink Floyd bootleg "The Final Cutting". I know that this is the exclusive show for the record company, when Pink Floyd presented the musics ready to be recorded. There are some differences in lyrics, instrumental and effects. It could be a rehearsal session before the album have been done for recording and at the same time a private show only for the record company and special guests. You barely can hear some audience present. 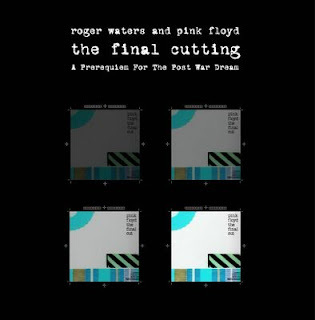 The difference in some songs are very high and this makes this album a must-have for any fan of the original album"The Final Cut". 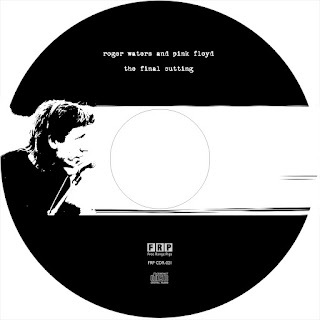 The quality obviously is not very good but as a hard-to-find Pink Floyd album, the bootleg "The Final Cutting" is absolutely amazing. The original album has something unique and special... some fans don't like it... Others said this is a continuation of The Wall (no, it isn't)... It 's an album you won't listen at any occasions. Due the years of the tape, some parts are damaged, but the final result of the recording, in HD, make the things smoother. For a rare bootleg, this rare album is one of my prefered. 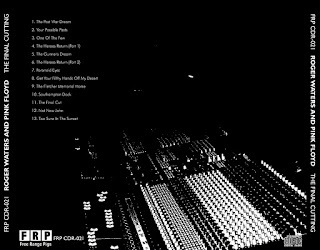 So, if you love the original album, you can get the demos and early mixes for the Final Cut LP, recorded live in 1982 in a personal presentation of the work for the record company.